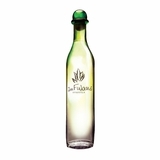 Blanco tequila can also be called "Silver" or "Plata", but it's all the same thing- unaged spirit fresh off the still and bottled. But don't let the lack of age deter you. 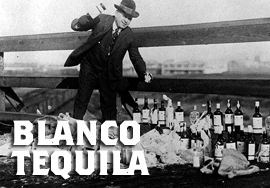 There are some wonderful blancos that do just fine neat or on the rocks. 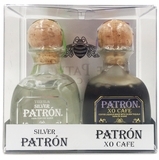 We have a huge selection of silver tequila here... Check it out! Through its highly fragrant quality we can detect the primary, natural aromas of the agave plant. In its secondary aromas we find lightly fruity notes of vanilla and almond. The strong tertiary aromas are of fresh earth and the wood used in its firing. The distilling process is, like with all mezcal arts, the most important step after selection of the hearts. Sacrificio is first distilled in steel where it concentrates before being distilled a second time in copper to refine and polish the emerging mezcal. Aging, like any good recipe, improves the result. Second, Tequila Ocho demonstrates that "terroir" exists in agave. We demonstrate this annually with new vintages drawn from our single estates at varying altitudes in Arandas, Jalisco, ensuring each vintage is distinct in aroma and flavor. Since each estate, or "rancho," produces a limited amount of agave, each vintage of Ocho is both rare and collectible. Every bottle is hand numbered. Third, Ocho is the first tequila to. designate both the year it was produced and the precise field from which the agave was sourced. Each is noted on the front label to confirm their authenticity.